Enjoy an online exclusive welcome offer upon successful online application. – The Bank reserves the right to request for additional information and documents for application approval. – If you have multiple Standard Chartered Credit Cards, you shall have one approved credit limit which is to be shared among all Standard Chartered Credit Cards. 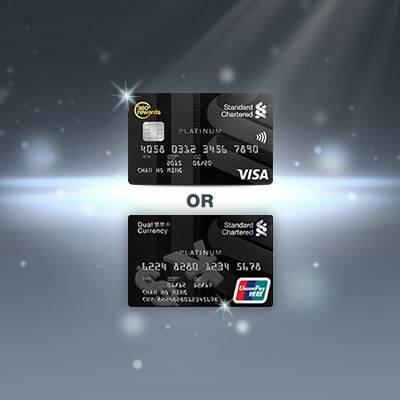 Apply for our credit card(s) now to enjoy our fabulous welcome offers. Credit card application is simple and easy through our website. You can also browse the various credit card offers available, and find the card that best suits your needs and lifestyle. For New Cardholder and Conditions apply. 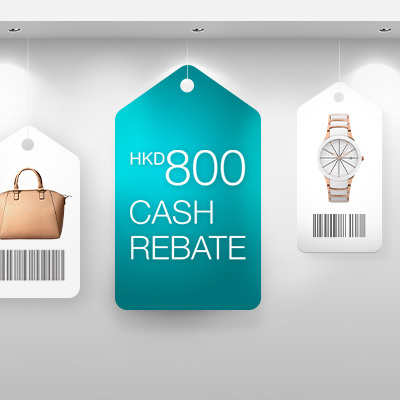 Accumulate eligible transactions of HK$8,000 or above with the newly approved eligible cards within the first 2 months from the date of issuance of the first approved eligible card. Eligible transactions made with all eligible cards will be counted collectively. Please refer to related Terms and Conditions for details. 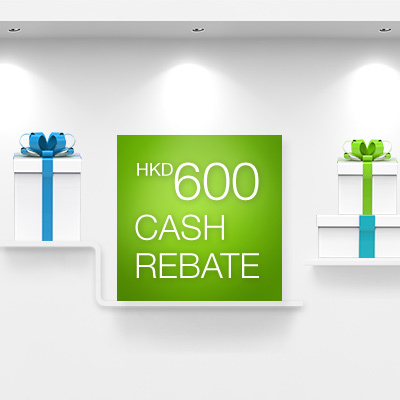 Accumulate eligible transactions of HK$8,000 or above with the newly approved eligible card within the first 2 months from the date of issuance of the newly approved eligible card. 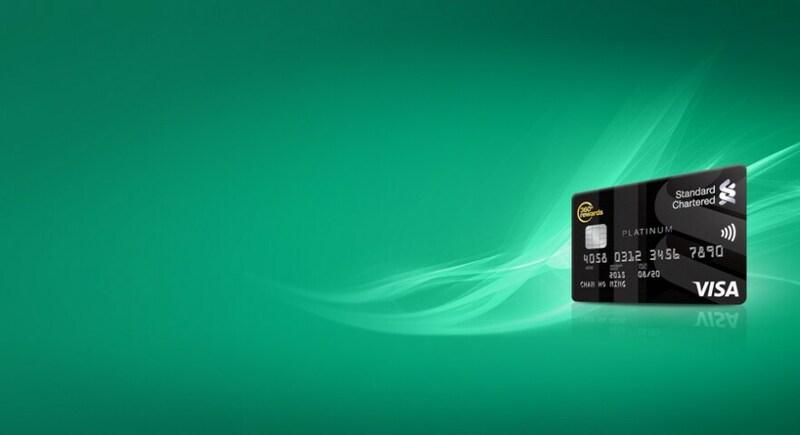 *New cardholders are applicants who do not currently hold and have not cancelled any principal card of Standard Chartered Credit Card or MANHATTAN Credit Card issued by Standard Chartered Bank (Hong Kong) Limited in the past 6 months from the date of approval of their current application for a principal card of the Standard Chartered Credit Card. All pictures and information are for reference only. To be eligible for the welcome offer, New Cardholders should fulfil the respective requirements. Please refer to related Terms and Conditions for details. Annualised Percentage Rate (“APR”) for retail purchase is 35.70%; annual fee is HK$1,800. An APR is a reference rate which includes the basic interest rate and other fees and charges of a product expressed as an annualised rate. Two currencies on one card offers you convenience and flexibility for dual currency settlement and repayment. Enjoy a waiver of foreign exchange markup on spending in CNY and foreign currencies. No expiry for the 360° Rewards Points earned. 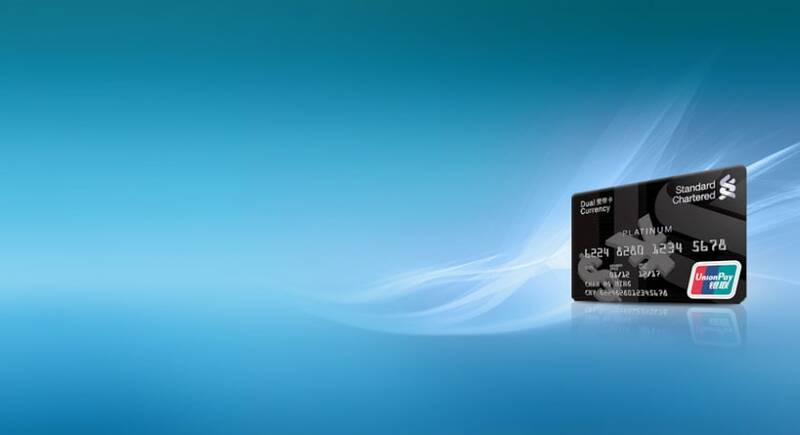 Easily settle your HKD or CNY card account balance through several channels. Enjoy exclusive UnionPay shopping, dining and hotel offers across Mainland China and overseas. Enjoy fabulous dining, shopping, lifestyle privileges all year-round. Evergreen 360° Rewards Points: Earn 1 point for every HK$1 of your retail spending. There is no expiry date for the 360° Rewards Points! Year Round Offers – Enjoy fabulous dining, shopping, lifestyle offers and more.